BOC Capital Corp. is pleased to announce financing opportunities to help small businesses secure and deliver on construction contracts. BOC Capital is offering loans to cover contract-related labor and equipment costs in order to mobilize or bridge contract-based needs. 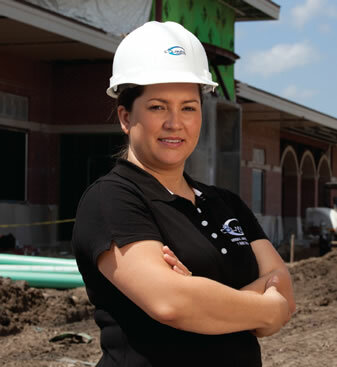 As a mission-based lender, BOC Capital is looking forwared to helping minority-owned, woman-owned and small-scale construction contractors succeed and grow. Through this innovative collaboration, BOC Capital is intensifying its focus on the construction industry with the aim to improve the economic prospects of hard-working men and women in construction whose opportunities are hindered by lack of access to capital and management support. If you are a contractor working with Build it Back as a subcontractor, you are also eligible for financing. BOC Capital staff are readily available to assist you through the application process. BOC Capital Corp. is a Community Development Financial Institution and SBA Microloan Intermediary dedicated to providing financing and management support to underserved entrepreneurs and small businesses to launch, stabilize and grow. BOC Capital provides loans from $1,000 to $150,000 to community businesses in New York City, Westchester County and Long Island. BOC Capital has loaned over $9.5 million to small businesses including contract-based loans for design/manufacturers and M/WBE contractors. Affiliate Business outreach Center Network delivers comprehensive microenterprise and small business development services through local centers in all five NYC boroughs with a focus on underserved communities and immigrant, minority, women and low-income entrepreneurs. Surdna Foundation is a private, grantmaking foundation located in New York City that seeks to foster sustainable communities in the United States � communities guided by principles of social justice and distinguished by healthy environments, strong local economies, and thriving cultures. BOC Capital Corp. is a Community Development Financial Institution (�CDFI�) dedicated to providing micro-enterprise and small business financing with a special focus on small-business, women, minority, and immigrant entrepreneurs in low-income and underrepresented communities. The Department of Small Business Services (SBS) makes it easier for businesses in New York City to start, operate and expand by providing direct assistance to business owners, fostering neighborhood development in commercial districts, and linking employers to a skilled and qualified workforce.